Get the entire post-apocalyptic adventure in one volume! Included in this omnibus package are books 1-3 with 2 bonus short novellas. A highly imaginative post-apocalyptic series that is not your usual dystopian read. All packaged together to keep the action and adventure nonstop! Together, these 3 books and 2 short stories have 373+ Amazon reviews! A highly anticipated and loved series which packs a punch and is made to devour, literally! Get it for just $3.99 for a limited time! In a post-apocalyptic world, a viral epidemic has wiped out most of the earth’s population, leaving behind few humans but untold numbers of mutated vampires. April is a seventeen-year- old girl who lives in the remains of Las Vegas one year after the outbreak. She has become a ferocious vampire killer and after her family is abducted, she goes searching for them. What she finds is a new breed of vampire, unlike any she has seen before. Unsure of whom she can trust, she discovers that her view of the world is not as black and white as she once thought, and she's willing to bend the rules to rescue her family. But in trying to save them, she may only succeed in bringing her fragile world crashing down around her. In the aftermath of the end of her world, April Tate decides that it's high time to leave the city that never sleeps, Las Vegas. After learning the origins of a Zompire Plague remedy, she risks her life to steal the antidote, makes the decision to separate from Jeremy for a while, and joins a small band of new and old comrades on a trip to the Pacific Coast. There they search out a legendary hive of vampires who are more than just wild, blood drinking creatures, they could be the very people she needs to help her. 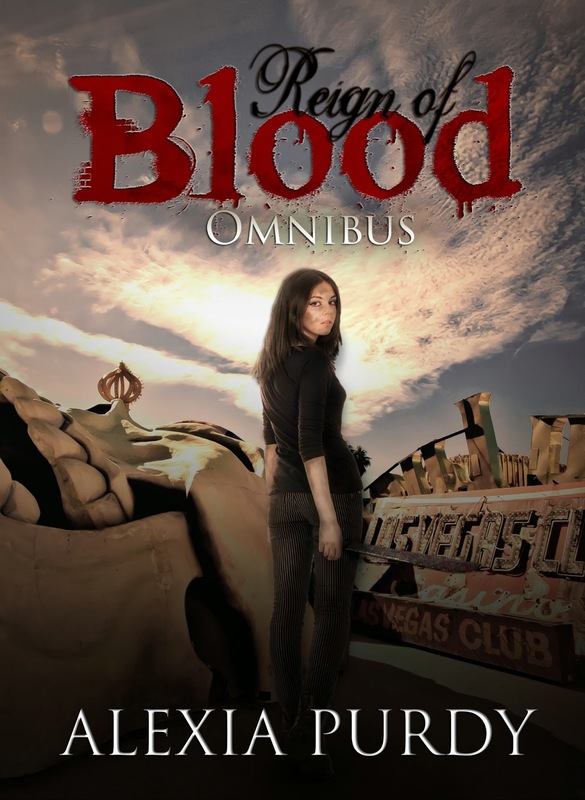 As the first days of the end of humanity tumble across the city of Las Vegas in the form of an overwhelming viral infection, turning almost everyone into vampire-like creatures, April Tate will find out what it really means to survive. What does it take to make it out alive in a place where everything is but a withered echo of its former self, and death does not come willingly? SULLIVAN'S WAR - Free July 11-12! New Release: THE SULLIVAN OMNIBUS!